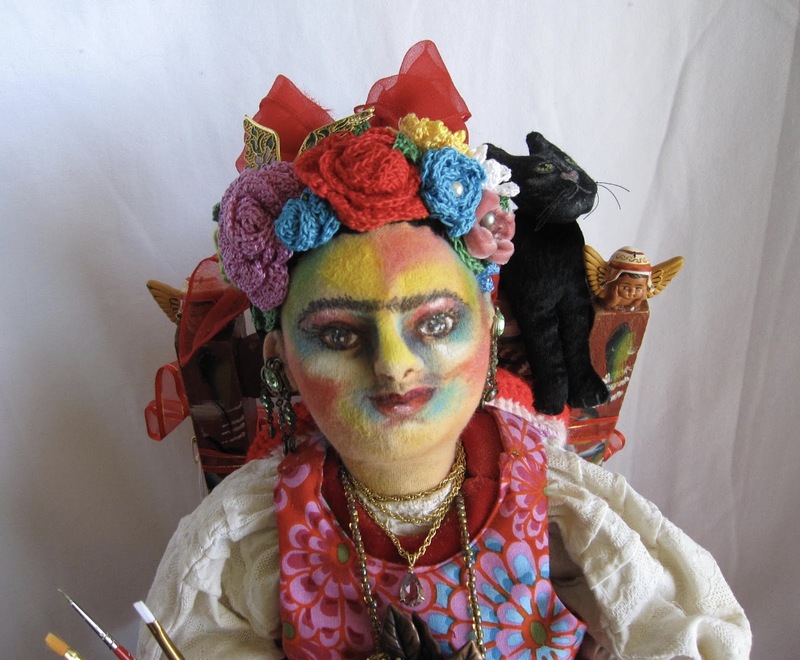 I am thrilled that I was accepted in the Summer/Fall 2017 issue of Art Doll Quarterly for my "I Am Woman" art doll, Frida Kahlo! 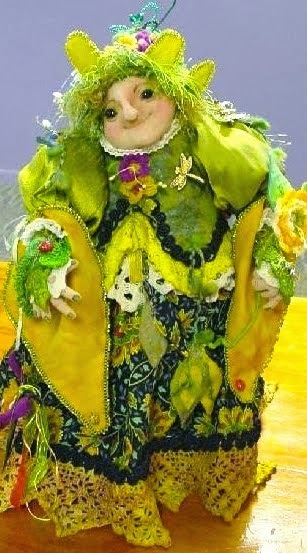 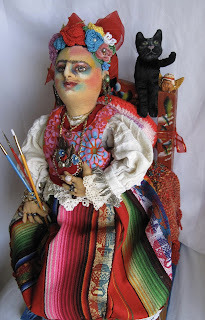 I love this magazine as it is dedicated to art dolls made by international artists in all media. 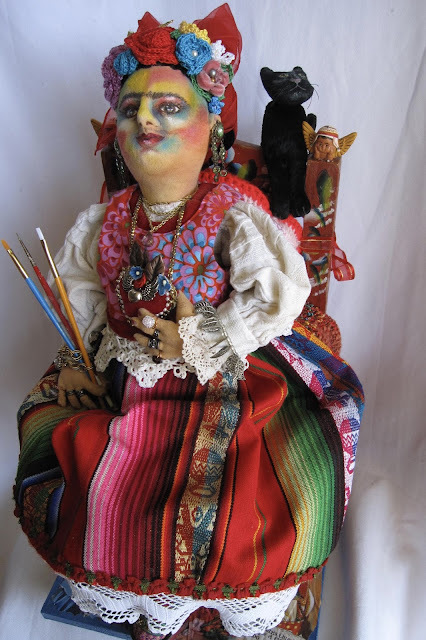 It is an honour to be published and to be able to share my art dolls with my peers and all art doll enthusiasts. 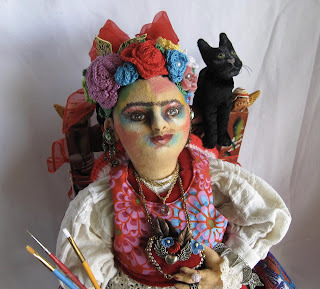 Art Doll Quarterly is available in all major book stores such as Chapters/Indigo. 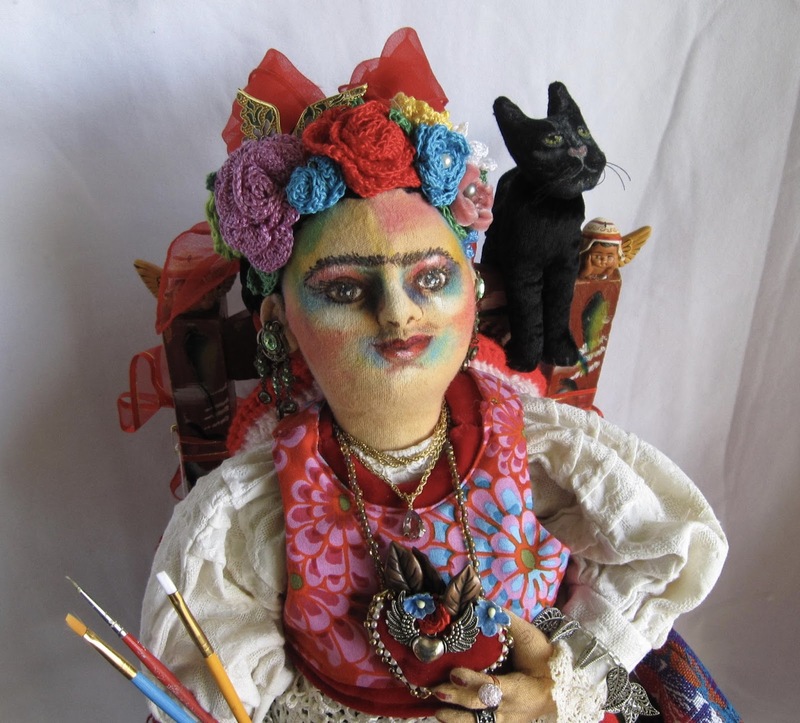 I would encourage anyone that loves to see the art doll format to either subscribe to the magazine (e-magazine subscriptions are available as well) or pick up a hard copy in your favourite book/magazine store. You will not be disappointed and you will be supporting doll artists everywhere! 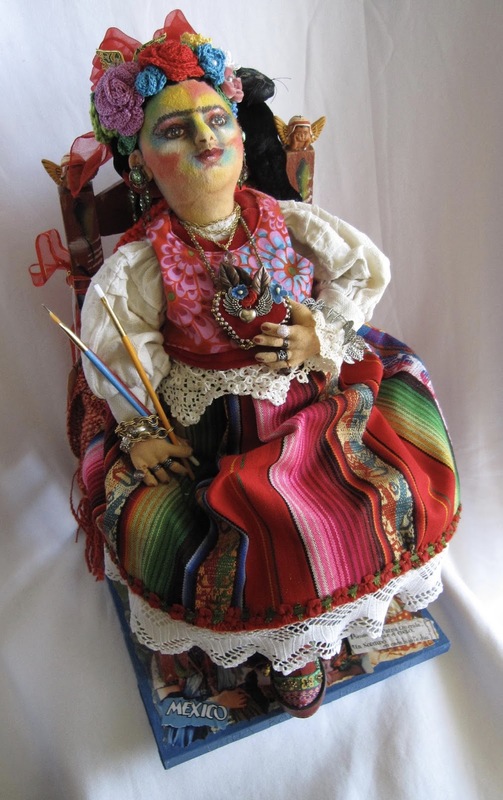 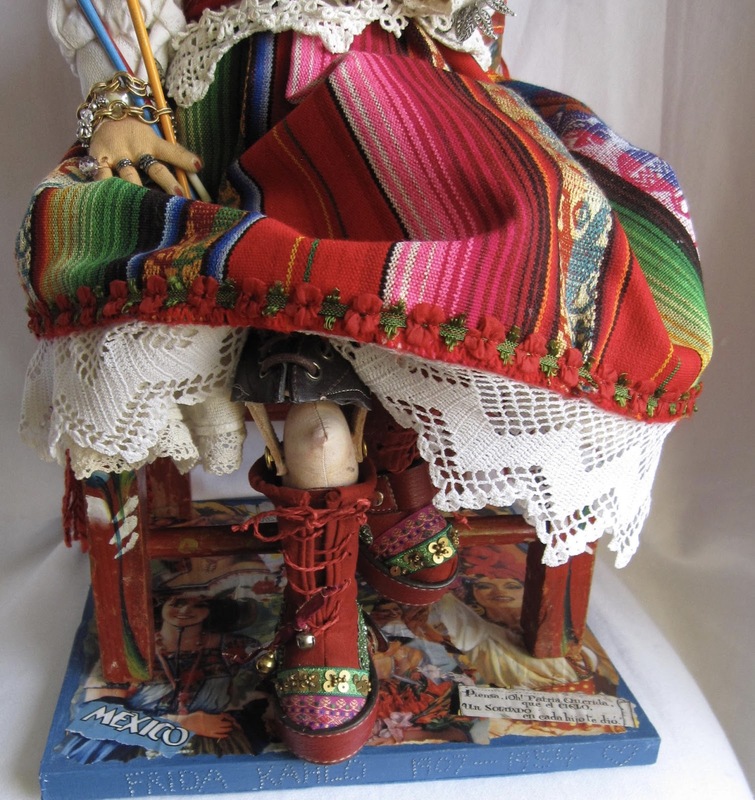 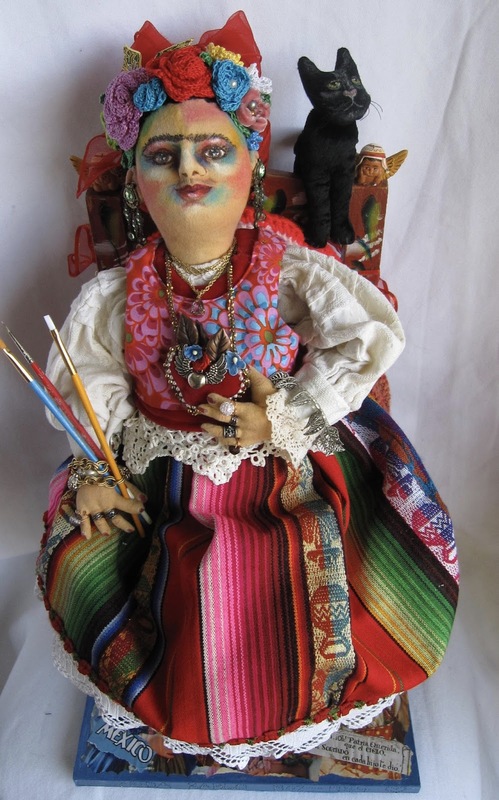 I am proud (and a little sad) to say that Frida is now in the home of a doll collector. 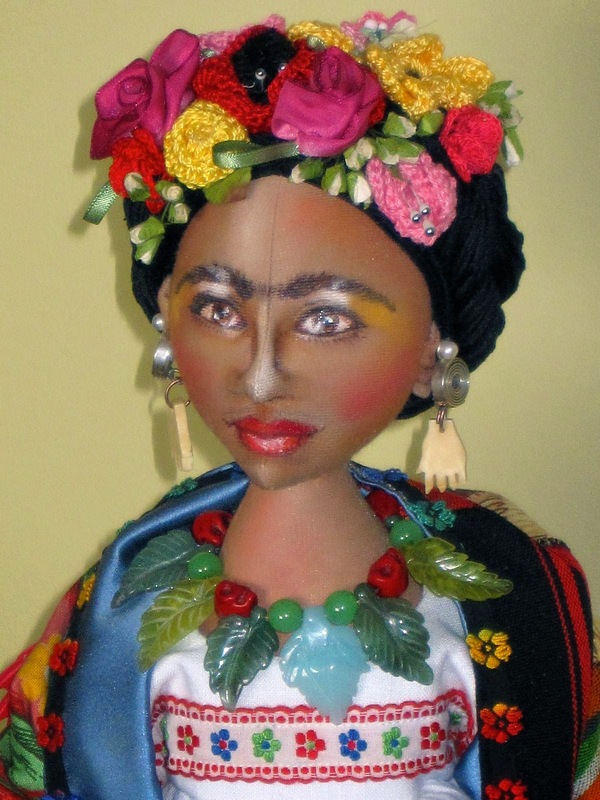 Frida was shown at the 2017 Sooke Fine Art Festival in Sooke, BC and she was snatched up during the first day of the show. 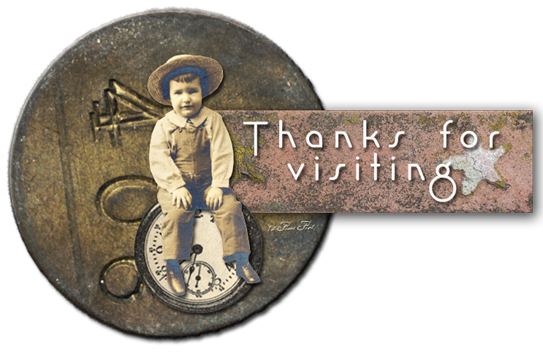 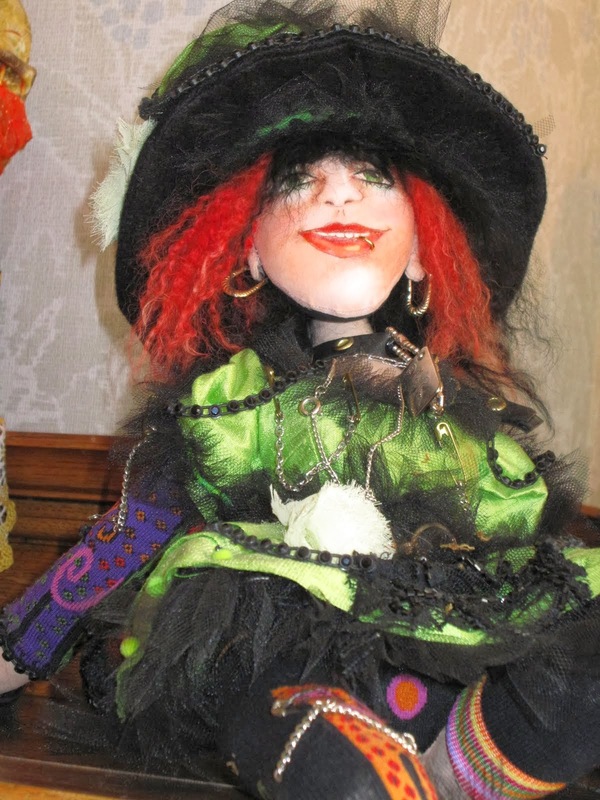 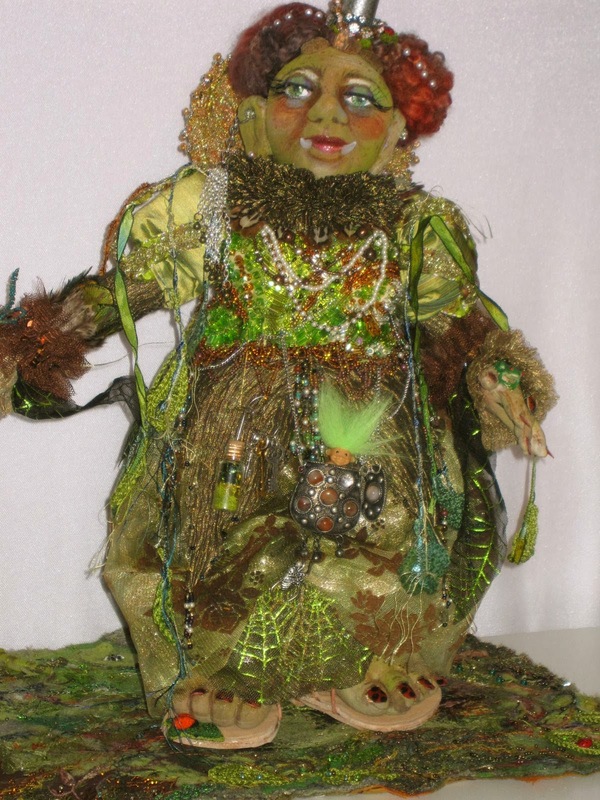 It was very rewarding to learn that collectors love my work enough to purchase my art dolls for their own home. 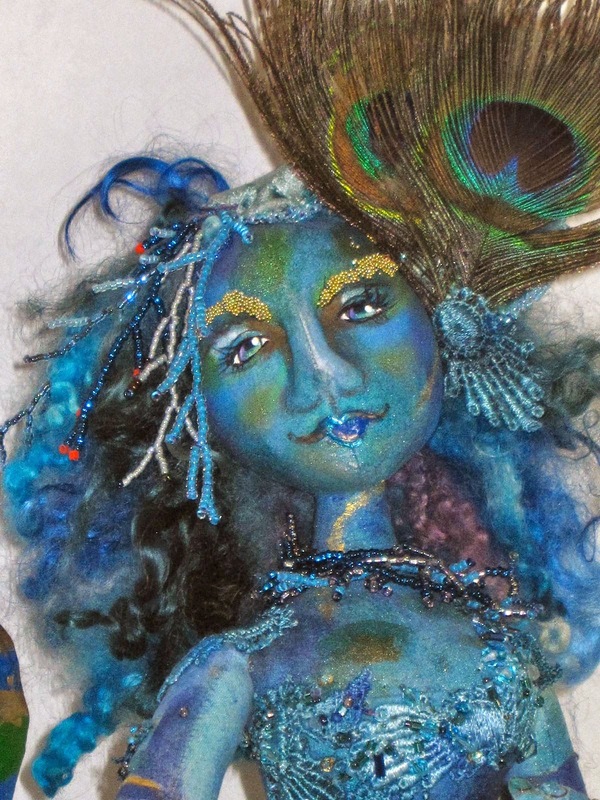 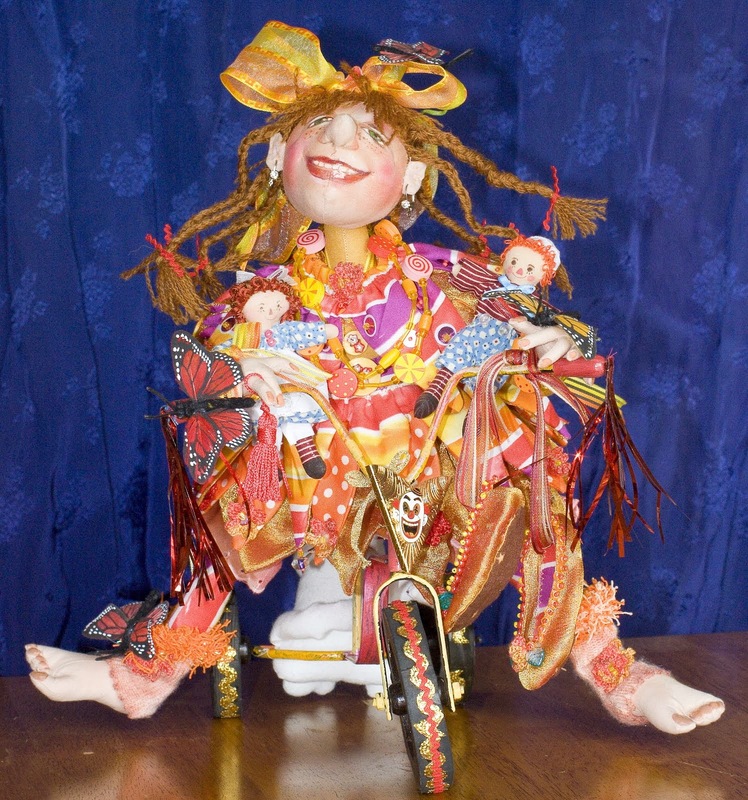 Thanks so much to the Sooke Fine Art Show and to Art Doll Quarterly for featuring my work. 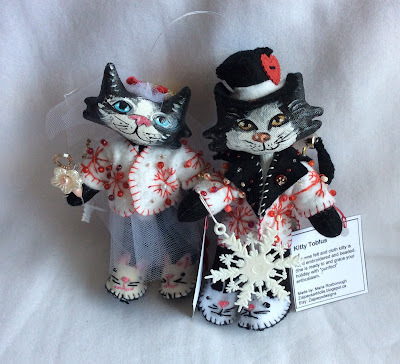 I have finished my first batch of 16 kitty ornaments and thought I should share the results. 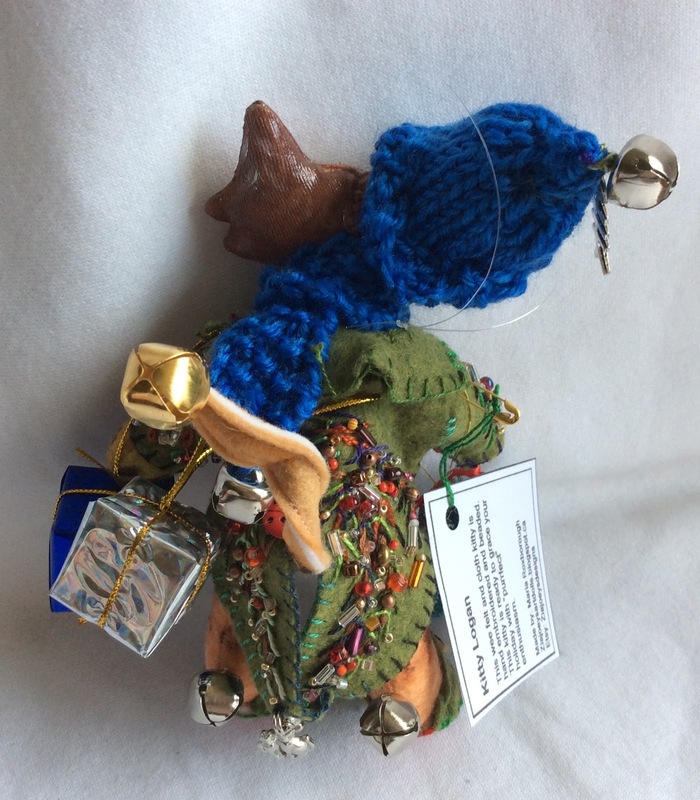 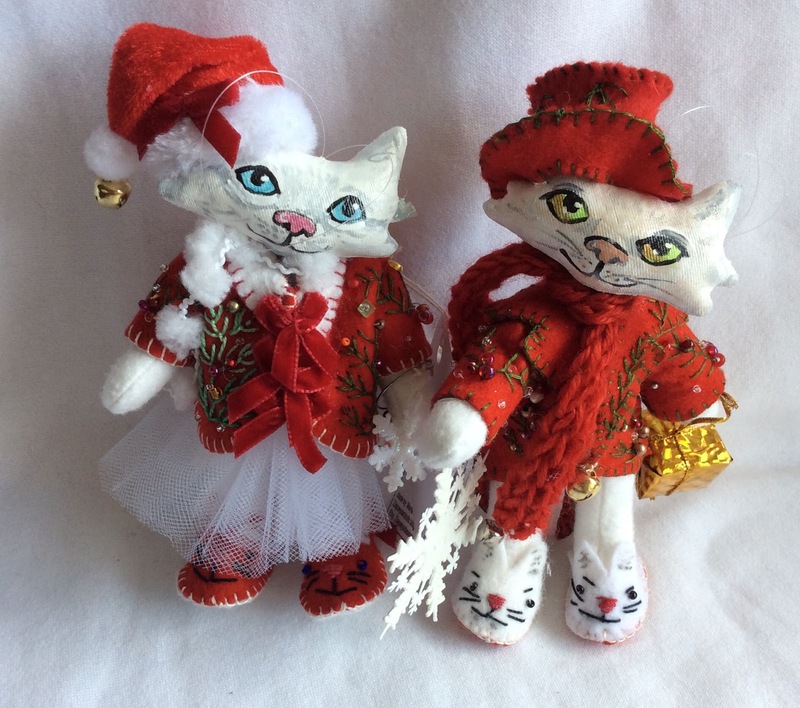 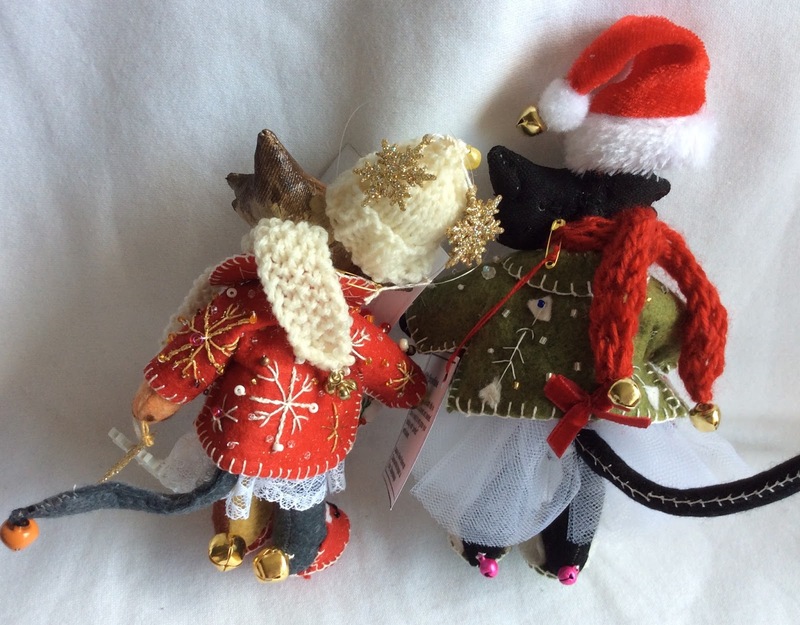 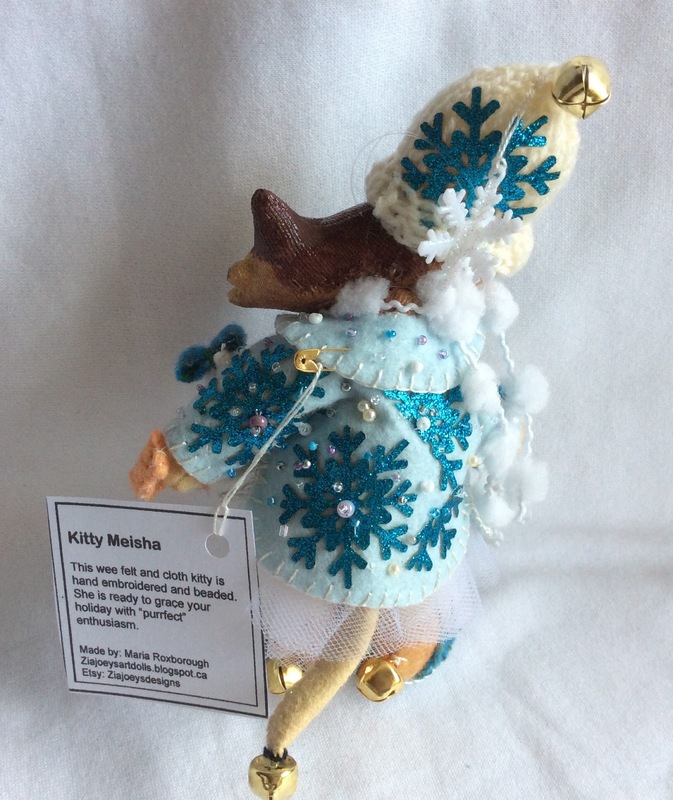 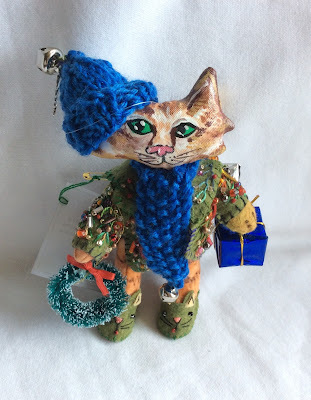 As many of you may know, I like to participate in one or two craft shows every Christmas and my followers have come to expect some ornaments from me as well as my "Wooly Critters" and art dolls. 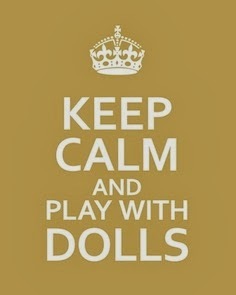 Who am I to disappoint? I made up my own wee pattern for the cats that involves a head and body made of woven cloth that is then gessoed and painted with acrylic paints to capture the face and upper body of the cat. The limbs are from wool felt as it is easy to work with and comes in "kitty" colours. 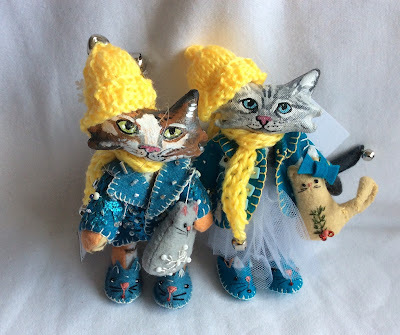 Once the cats are assembled I add felt and tulle clothing and even some hand knitted hats and scarfs. 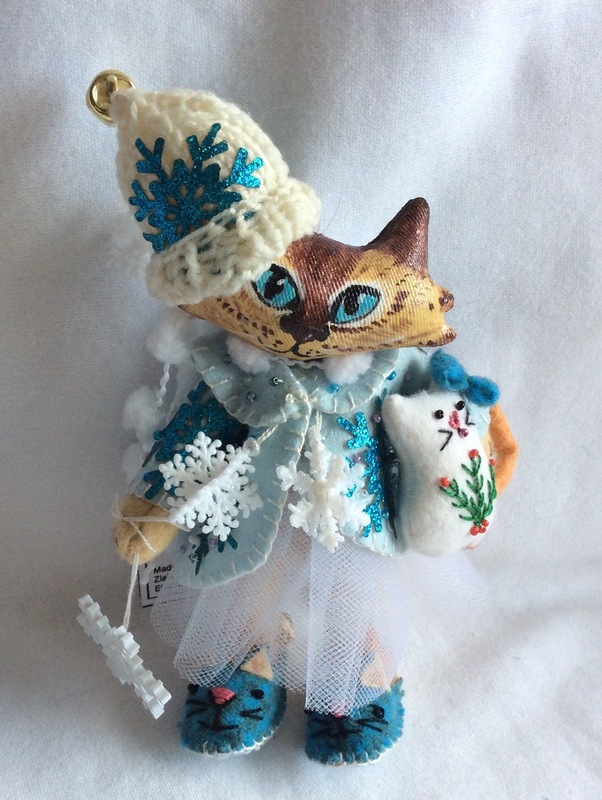 Finally the final touches may include jingle bells (to warn the birds), lace, embroidery and snowflakes or wreaths. 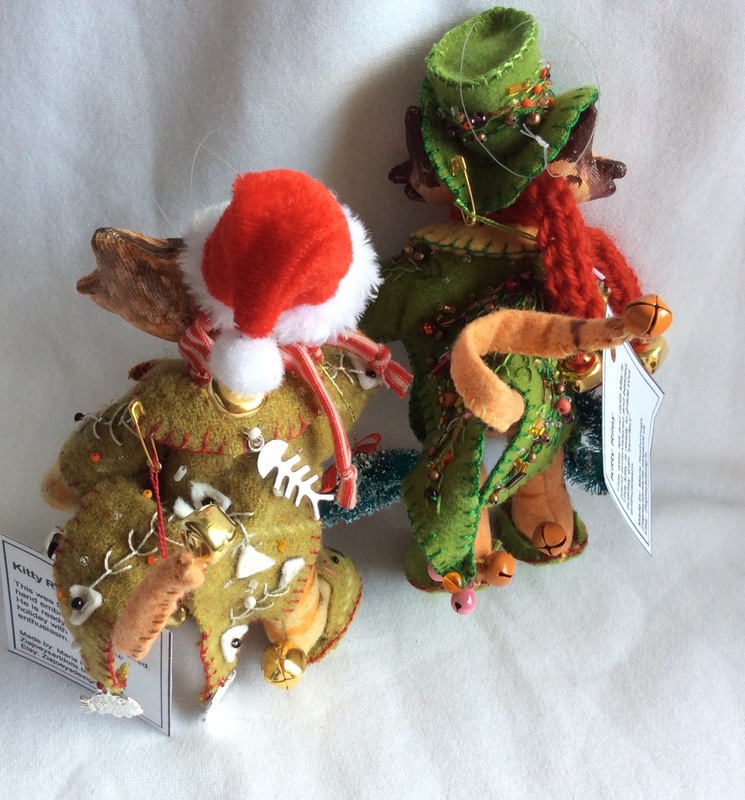 They are about 4" tall and can stand on their own, although I have added a fishing line loop to each one so they can hang on a tree as well.